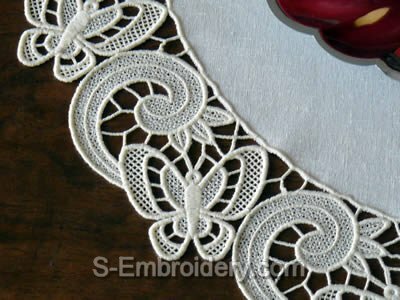 A freestanding lace butterfly doily machine embroidery design. 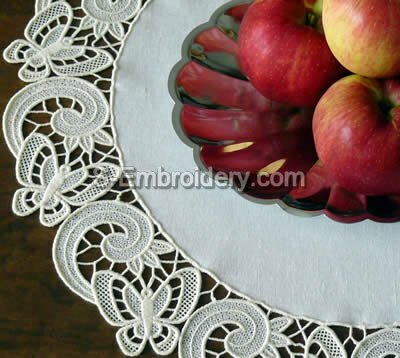 Using it in combination with suitable fabric, you can create a nice freestanding lace doily with a diameter of 20.5 inches (52 cm). 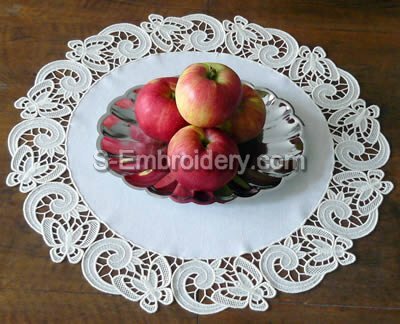 The design comes with instructions in PDF format.